The Urban Studies Institute researches urban economic resilience and inclusive development including questions of urbanization and development, sustainability, diversity, inequality, life-chances, social/spatial integration, access to public goods, and urban health disparities. This project investigates emergent urban formations in India. There is circumstantial evidence of significant urban growth at India’s rural-urban transition, in the lower echelons of the urban system, but it is only partially reflected in traditional census data and little is known about emergent urban forms and the socio-economic drivers and consequences. The project shifts attention from the country’s megacities (the have witnessed stagnant growth rates in the past decades) to more dispersed patterns of accelerating urbanization in what used to be mainly rural environs, that could involve hundreds of million of people. The project involves remote sensing analysis along with socio-economic fieldwork on the ground in West Bengal and Bihar. Chetan Choithani (Urban Studies Institute, GSU; Indian Institute of Health Management and Research, Jaipur). In the aftermath of the foreclosure crisis, there has been marked shift towards renting in the U.S. In the 50 largest metropolitan areas, the number of detached, single-family rental homes increased from 3.8 million to 5.8 million from 2006 to 2016. This project first examines trends in single-family rentals across these 50 metros, and finds that many metropolitan areas, especially in the Sunbelt, have seen large increases in single-family home rentals. The paper and then zooms in on one large metro, the Atlanta metropolitan area, to examine patterns at the neighborhood level. This research also examines the role of foreclosures in the growth of single-family rentals and the types of neighborhoods where these rentals tended to grow during the early 2010s. As climate disasters mount, there is an urgent need to develop novel, transformative strategies to reduce vulnerability and enhance urban resilience. This research explores how new climate realities impact future urban systems and shared, local stakeholder visions of future resilience, sustainability, and justice. Key methods and analyses include: 1) participatory future scenario development and analysis; 2) spatial modeling of future urban biophysical systems, social structures, and technological infrastructure; 3) multi-criteria assessment of co-produced scenarios and resilience outcomes; 4) comparative analysis across different scales and cities; and 5) visualizations through interactive communication tools. Co-produced envisioned urban futures, developed from this research, serve as complements and alternatives to existing approaches to forecasts of social, ecological, and technological change. A primary goal of this research will be to produce a) a general framework that can be applied in diverse urban contexts, b) develop and model a suite of future scenarios explicitly featuring social-ecological-technological systems characteristics of future cities that will be made available to the research-practice community, and c) promote transformative pathways to guide new urban policy and planning for resilience in the face of future events. Traffic accidents pose a significant safety hazard to road users. Motor vehicle crashes cost tens of thousands of lives each year in the United States, with millions more injured as well as vast property damage, lost wage and medical expenses. Traffic speed, among other factors, is strongly linked to the occurrence and severity of collisions. Since 2014, New York City launched a Vision Zero initiative to promote traffic safety and reduce fatalities. A number of policy measures under Vision Zero seek to reduce traffic speed on local streets and arterial roads, including neighborhood slow zones, speed bumps and cameras, as well as an overall reduction of the default speed limit on local streets from 30 to 25 mph. This project investigates the linkage between traffic speed and safety for road users, evaluates the effectiveness of Vision Zero policies in reducing crash hazards, and gauges the public health outcomes. Exploiting innovative data sources to monitor congestion, speeding, and abnormal traffic conditions, it seeks to better understand the role of speed reduction strategies in traffic safety in dense urban areas and the broader social impacts. Imagining the 21st Century Urban University promotes critical, policy-relevant dialogue on the role of universities, and their relationship with cities, in a rapidly urbanizing and globalizing world. It is now a well-worn adage that we now live in an ‘urban age’ with more than half the world’s population living in cities. This purported epochal transition raises unprecedented opportunities for universities to apply their expertise, influence policy agendas, and assume critical positions as urban leaders on the globe stage. Yet it also presents profound challenges for academic institutions, both in terms of the changing expectations and functions placed on higher education and where in the world – and the city – university adaptions need to proactively unfold. Through empirical research and workshop discussions held in Atlanta, Singapore and Cape Town, South Africa, global perspectives from academic researchers, university administrators, and public policy officials provide a portrait of cutting-edge developments at the interface of higher education and urban society. In doing so, the project offers an opportunity to reappraise the university as a crucial collective actor both responding to and reshaping the landscapes of global urbanization. The project is supported by an International Collaborative Urban Research Grant from Georgia State University. An Imagining the 21st Century Urban University working paper for can be found here. The paper forwards a series of ideas and provocations to catalyze debate and discussion around the potential opportunities (and limitations) for universities and cities to work together on adaptive responses to the lived experience of the ‘urban age’. 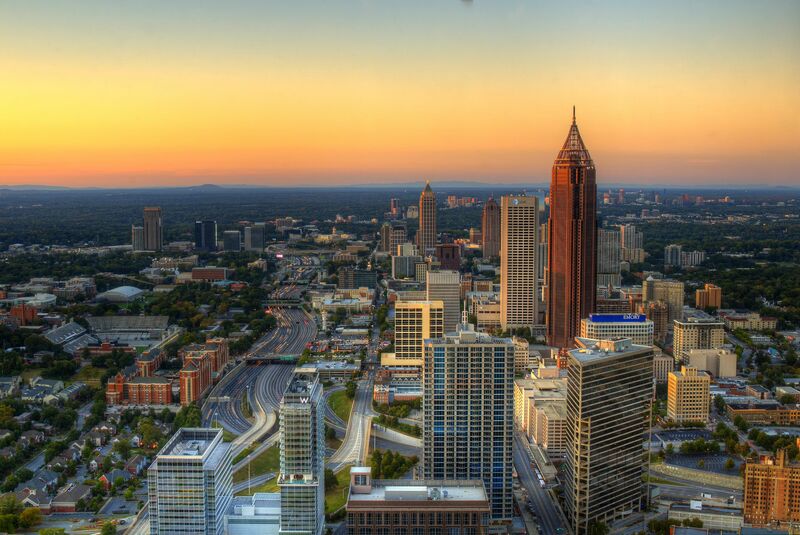 As part of the project, a roundtable panel session held at the 2018 Atlanta Studies symposium convened urban and academic leaders from across metropolitan Atlanta to explore what it means to be an urban university in the 21st century global metropolis. Panelists Mary Beth Walker (Georgia State University); Robert Franklin Jr. (Emory University); Bruce Stiftel (Georgia Tech); Rita Gibson (University Community Development Corporation); and Sam Williams (Georgia State University) offered their distinct perspectives on the changing roles of ‘town’ and ‘gown’. A wide-ranging conversation covered the task of connecting urban and academic agendas for institutions that has traditional pursued national and global markets rather than local mandates, the demands of ethical and responsible leadership, embracing the city as a classroom and center of student life, and the need to improve the exchange of university-generated knowledge into the regional economy. On 16 August 2018, Jean-Paul Addie ran the workshop “Locating the Urban University: International Dialogues with South African Policy and Practice” in Cape Town, South Africa. The event, which was co-organized by the Urban Studies Institute and the Human Sciences Research Council in South Africa, brought together 24 international and South African academics, policymakers, and practitioners to explore two key themes: (1) the nexus of urban development and universities’ spatial practices in South Africa; and (2) universities’ role in producing urban knowledge, experts, and capacity-building to tackle the demands of 21st-century urbanization. Key topics discussed in the context of South Africa included: the impact of the #FeesMustFall and #RhodesMustFall movements, the challenges of reproducing student life in the city (especially surrounding issues of student housing), the institutional and financial constraints faced by South Africa’s local innovation sectors, the need for leadership and capacity-building to build in absorptive capacity of agencies partnering with universities, and universities’ role in unlocking the land question in South African cities to promote equitable urban development. Read a full workshop report here. Urban Studies Institute is working with local, non-profit, Food Well Alliance to map suppliers and consumers in the metro Atlanta area. The Food Well Alliance unites communities to build a robust local food system through a network of individuals and organizations that grow, process, and consume fresh local food. This project funded by Food Well Alliance will allow for a more resilient local food system, access to locally-grown food, improving health outcomes, building community, improving our natural environment, and galvanizing our local food economy. The lack of access to safe, timely, and affordable transportation can be not only detrimental to social and economic wellbeing, but also harmful to health. Physical accessibility – the ability to get to clinics and hospitals on time – can be a major challenge in obtaining healthcare, especially for people with low socio-economic status (SES), who tend to be more dependent on public transit, as well as in poorer health (Adler and Ostrove, 1999; Braveman and Gottlieb, 2014). Disparities in transportation access, therefore, may contribute to the deepening of existing health inequalities (Jiao and Dillivan, 2013; Wells and Thill, 2012). Research will approach the issue in three steps. The first step will utilize GIS to depict healthcare deserts and locate the vulnerable populations in metro Atlanta. In the second step, we will design a research study to test the causal linkage between transportation accessibility and health outcomes. Finally, we will synthesize our findings with those from existing research and derive policy recommendations. This project investigates how LGBTQ youths make their initial social network connections, when and where they become integrated into the urban LGBQ communities, and what social consequences are for those who follow different pathways of integration into urban LGBTQ communities; examining urban cities such as Atlanta, Hong Kong, and Cape Town. To fully understand these complex, multi-level, and dynamic processes, this research project asserts that we need to take a comparative urbanist approach that draws on insights from multiple disciplines, notably sociology; urban geography; community psychology; women’s, gender, sexuality studies; and public health. This project investigates water governance regimes in Atlanta (USA) and Accra (Ghana), two rapidly growing cities —one from the global North and the other from the global South—that share similar histories of neoliberal water governance failure. Interrogate the nascent adoption of urban resilience in water governance. By bringing water policy and planning research into dialogue with UPE, we aim to uncover how “access to, control over, and distribution of water” is organized in Accra and Atlanta, identifying who benefits and who is excluded from stakeholder governance. The comparative approach to this study is situated in broader debates about neoliberal urban policies and emergent paradigms for urban governance based on resilience. The initial phase of the project will commence in January 2018 with stakeholder interviews in Atlanta following IRB approval. In June 2018, the investigators will travel to Accra, Ghana, to conduct archive research and interviews. The project forms part of a broader research initiative led by Dr. Richard Milligan and Dr. Ellis Adjei Adams with the goal of establishing a research agenda on global urban water at GSU. Currently, these scholars are forming a Global Urban Water Laboratory with graduate students from the Department of Geosciences to build upon connections with key water stakeholders, institutions, and researchers in Atlanta and throughout the world. This project investigates the economic, social, political, and environmental consequences of urban sports stadiums. The project will employ a comparative approach to evaluate stadium developments in Atlanta, Pretoria, Hong Kong, and Seoul to problem solve the complex challenges associated with urban cities and stadium developments. The research agenda developed by this partnership is aimed at identifying sports stadiums’ positive and negative impacts, the debate over which plays out in cities and regions all over the world. It is a fact of city life that neighborhoods change over time. But the forces that drive these changes can be difficult to discern. When sections of the urban landscape have been effectively erased, the changes themselves are rendered invisible at street level. “Streetscape Palimpsest” is a digital project that investigates the history of Georgia Avenue, which once served as an important commercial thoroughfare in the neighborhoods south of downtown Atlanta. By exploring the history of this street, and of the people who lived, worked, and shopped there, this interactive historical narrative rediscovers a neighborhood that was entirely replaced by urban renewal projects, and explains why Summerhill, and other “stadium neighborhoods” in Atlanta, were so thoroughly transformed over the course of the twentieth century.